Hyati Residence ... 122 apartments and 20 townhouses delivered in Phase One. The company said a total of 122 apartments and 20 townhouses have been delivered in Phase One of the project, while Phase Two will see a further 103 units and 19 townhouses delivered by the end of next year. 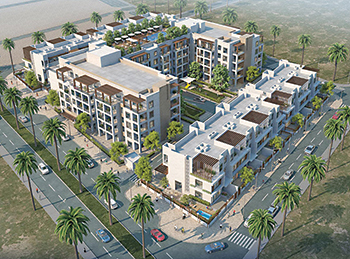 “To date, Aurora has completed projects valued at Dh275 million, consisting of Hyati Residence, Ritz Residence, and F01, with another Dh238-million worth under construction, namely Hyati Avenue and Lyra by Aurora,” stated Farah.